Earlier this month, Prince released a surprise song to The Purple Collective, “Hardrocklover,” which as it turns out is the first single of a new record. The Hit & Run Album, named after Prince’s series of “hit & run” tours where he announced each show the day of the gig, will be Prince’s 38th official studio record. 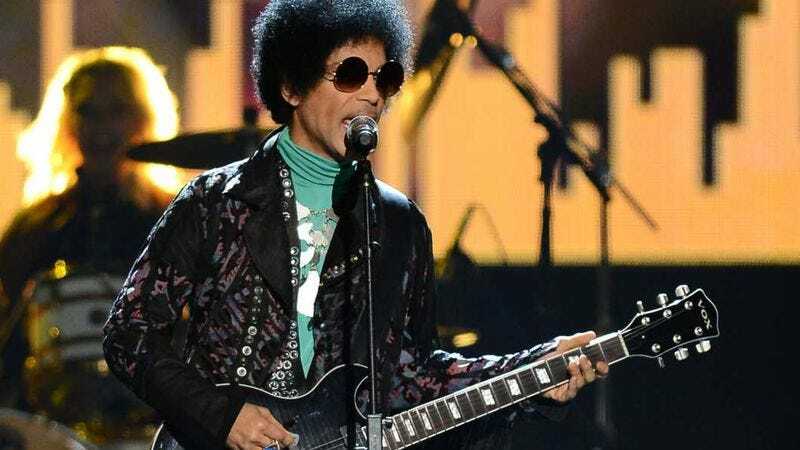 The singer-songwriter-dancer-basketball player’s last two albums, Art Official Age and PlectrumElectrum, were released through Warner Bros. His Royal Purpleness famously feuded with Warner in the ’90s, referring to himself as a slave to the label, but it would appear all is well now. However, it’s uncertain whether Warner Bros. will be releasing the new record. Hit & Run will feature Prince’s current band, 3RDEYEGIRL; guitar player Donna Grantis says the new album is “weird, there’s a lot of experimental sound. It’s just hit after hit.” “Experimental” and “hit” don’t necessarily go together like waffles and grapes, but Prince has been doing whatever he wants for 38 records, so maybe the man is on to something. “[The record] definitely caters to those fans who just love to hear what Prince has to say, rather than wanting to always hear that classic Purple Rain Prince sound,” Grantis adds.